ILSAN, Gyeonggi Province -- Envisioning the future of connected and sustainable mobility, an auto extravaganza kicks off Friday with carmakers around the world showcasing a variety of vehicles under development, concept cars and their vision for the world’s 10th largest car market. 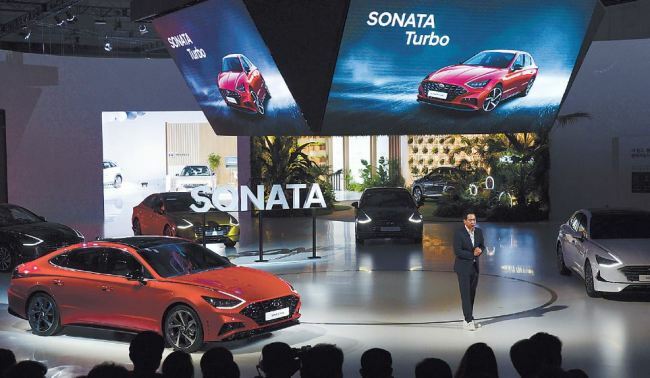 Taking place at Kintex in Ilsan, Gyeonggi Province, 21 car manufacturers and 206 electric vehicle-only makers, parts makers and information technology companies will join the biannual Seoul Motor Show, with seven world and 10 Asian premieres. The show is the only Korean event recognized by the International Organization of Motor Vehicle Manufacturers, a global alliance of carmakers founded in Paris in 1919. South Korea’s two-largest cities -- Seoul and Busan -- have taken turns to host the show each year. This year’s show runs through April 7. 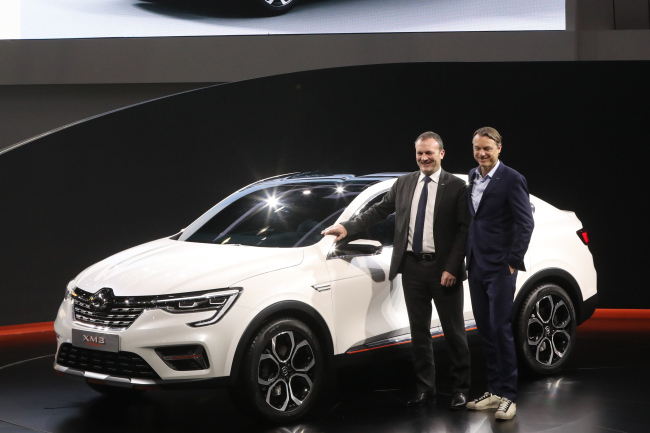 Reflecting an industrywide shift toward green and self-driving cars, carmakers have prioritized the theme of sustainability and connectivity for their shows and plan to present how they are painting the future by converging the two elements. A widened use of color palette in cars by auto companies also suggests a change in the Korean market, reflecting the need to satisfy young customers who value personal tastes. Hyundai Motor, the nation’s largest carmaker, has placed fuel-cell electric vehicle Nexo and the Sonata Hybrid at the vanguard of its green vision. While displaying the air purifying capability of Nexo, the carmaker unveiled the hybrid version of the eighth-generation Sonata sedan that deploys a solar roof for the first time as a Korean carmaker. To maximize fuel efficiency of the sedan, the solar panel on Sonata’s roof generates electricity and recharges the battery during daytime driving. The Sonata hybrid is expected to get about 20 kilometers per liter. Hyundai also unveiled its New Sonata with a 1.6 liter gasoline turbo engine, scheduled to be released in July. At press briefings held on the eve of the Seoul Motor Show, Hyundai Motor sister company Kia Motors brought three concept cars -- Mohave Masterpiece, SP Signature and Imagine -- to show off the carmaker’s ambition to dominate the SUV segment. Kia design chief Luc Donckerwolke said his team used contrasting high technological features with the simplicity of the architecture, noting the concept cars have been designed to serve as icons for Kia’s brand image in the future. The carmaker plans to unveil a new Mohave and compact SUV in the second half this year. 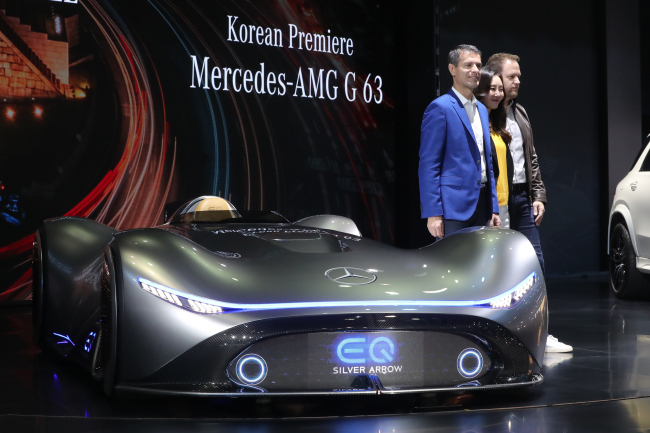 Under the slogan “Our Innovation Never Stops,” Mercedes-Benz brought the Vision EQ Silver Arrow, an electric racing car, designed as an homage to the W 125 Silver Arrow that set a worldwide speed record of 432.7 kilometer per hour in 1938. The German carmaker also presented the New A-Class, New CLE and New EQC, adding to its product lineup to target the growing number of customers in search of imported vehicles. Seeking a breakthrough in its slowing sales, Renault Samsung unveiled the XM3 Inspire, a crossover SUV, stressing that the new vehicle will be manufactured at its production line in Busan. It is the first crossover SUV by Renault Samsung and is set to be released in the first half of 2020, according to the carmaker’s CEO Dominique Signora at the press conference, adding it has been designed to meet Korean customers’ expectations by combining the key features of an SUV and of a sedan. 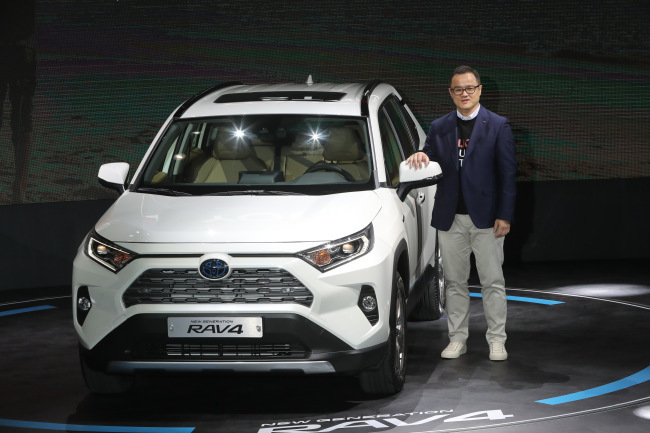 Korean SUV maker SsangYong Motor also presented its future mobility vision, developed on the platform of Korando, which it unveiled last month. The carmaker said it is developing an electric version of a midsized SUV that can go 400 kilometers per charge, as well as a hybrid model. The carmaker has deployed level 2.5 self-driving technology for Korando, stressing it is the first attempt toward its future mobility plans. Other importers unveiled key products targeting the Korean market this year. Releasing its new brand slogan “Enjoy Your Style,” Toyota brought the fifth-generation Rav4 in a Korean premiere, while British carmaker Jaguar Land Rover unveiled the Velar SVAutobiography Dynamic in a world premier and introduced the all-new Range Rover Evoke and Jaguar New XE for the first time in Asia, saying it is a barometer of how the company cherishes Korean customers.